The Definitive Guide to Managing the Concealed Risks of trading CFDs! 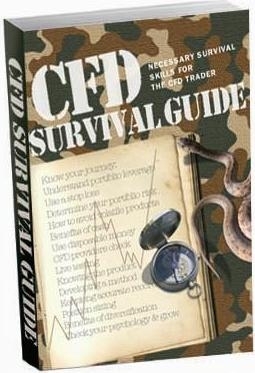 The CFD Survival Guide is a genuine product written by a trader for traders. I worked for one of the world’s biggest CFD Trading companies for many years and saw many people lose large sums of money unnecessarily. This trading guide will I hope address this and after writing it, I had several colleagues openly critique the material as a reality check and to confirm it was high standard and highly useful. They agreed wholeheartedly it was the most useful CFD guide they had ever seen. Want to survive and thrive trading CFDs? CFD Insider discloses how to avoid the concealed CFD risks and get the odds back on your side for success in online CFD share trading. The lessons are pertinent, succinct and written in an easy to understand method so you can be rest assured your clients / subscribers / friends will get true value from the material. If for some reason your clients are not 100% satisfied, then let me or Clickbank know by email within 60 days and I will give them their money back, no questions asked. In fact Clickbank are the ones who give the money back. They hold my payments for the 60 days to make sure the purchaser is happy so this is a great product, great deal and is guaranteed. To date I have not had one single refund requested, the product is that solid. If you have further questions about being a CFD affiliate, please feel free to email me direct at brianATcfdsurvivalguide.com (substitute the AT by @) and I will be happy to answer your questions. If you already have a Clickbank account then go here to set up your id and code Clickbank link. Sign up as an affiliate of Clickbank (no cost and no obligation). Search in the Marketplace to obtain the special Clickbank code for my product and include this link on your website or promotional emails. Email me if you have problems. Next you start receiving your commissions as the sales come through. It’s all automated. Continue promoting as you see fit for more and more money and user satisfaction. I would love to have you as a supporter as this product only costs $97 and will save many people tens of thousands of dollars instead of them losing their trading account straight up through the hype and big promises made by the service providers. Through this knowledge individual traders can give themselves a fighting chance. Hopefully they will pass on the lessons to other friends as well and through more disciplined trading and simple techniques save more people from the risk of ruin, improve their own trading and therefore its a better result for everyone. Just follow the link above to sign up, enter the code as they explain and you will be up and running in no time.